It’s such a cliche joke! 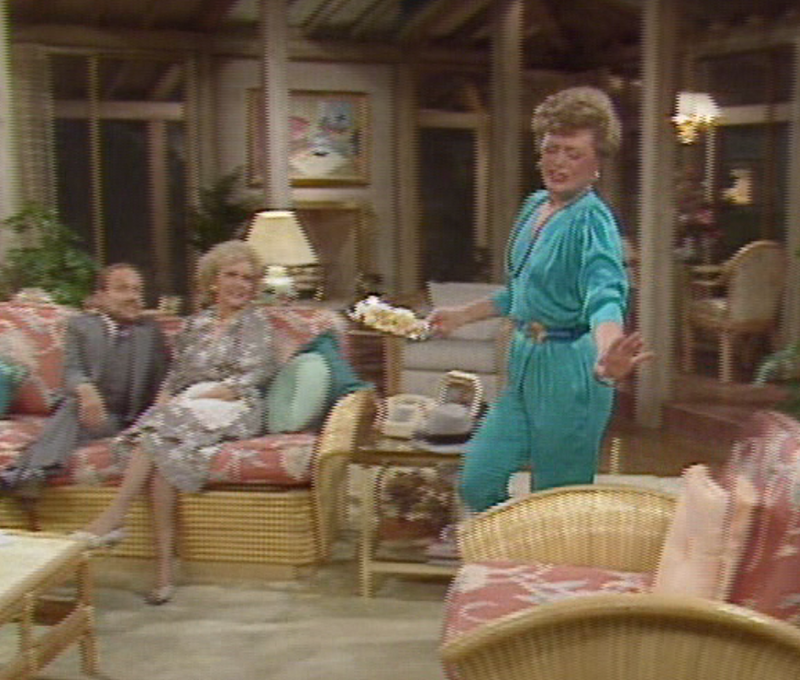 Blanche is calling a little person a shrimp! How is that even funny? I think it is because these women are so gifted at the physical aspect of comedy. 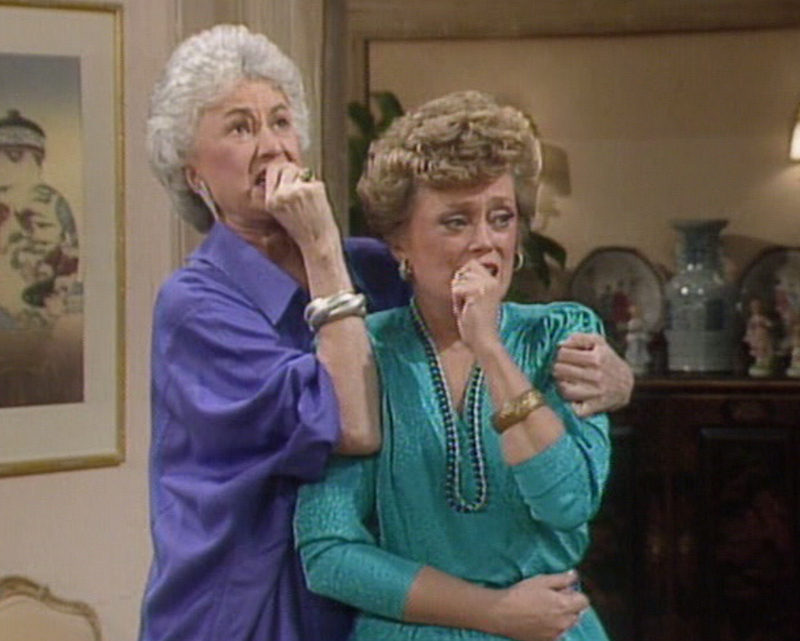 The character of Blanche is so over the top, she could be annoying. But Rue McC has everything down to a science: her walk, her sudden realization of what’s she’s said, and the direct walk back in the kitchen. It’s just so well done. 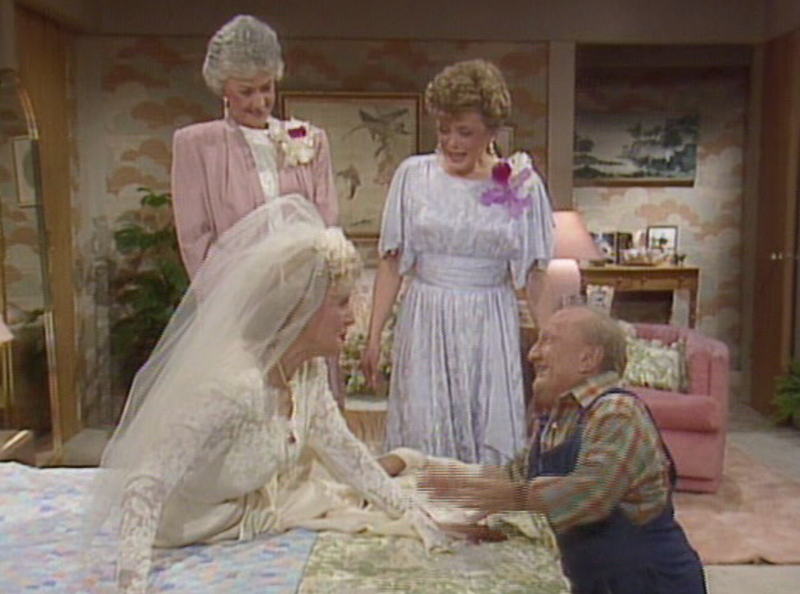 many Golden Girls jokes are super corny, but it’s the embodiment of their characters which make them great. Brilliant. We all know Sophia is going to say something so inappropriate. She actually doesn’t, but checks wirth Dorothy to make sure she’s not having a stroke. Rose thinks he is going to propose to her. Seriously, what guy in Miami DOESN’T propose to one of these women? She’s unsure about it but then has a weird dream where her father is also a little person, and some supposed famed psychic shows up, and she decides she’s ready. Only Jonathan can’t marry her because she isn’t Jewish. And someone she is alright with being dumped. Well played everyone, well played. The gals were on their A game for this one. 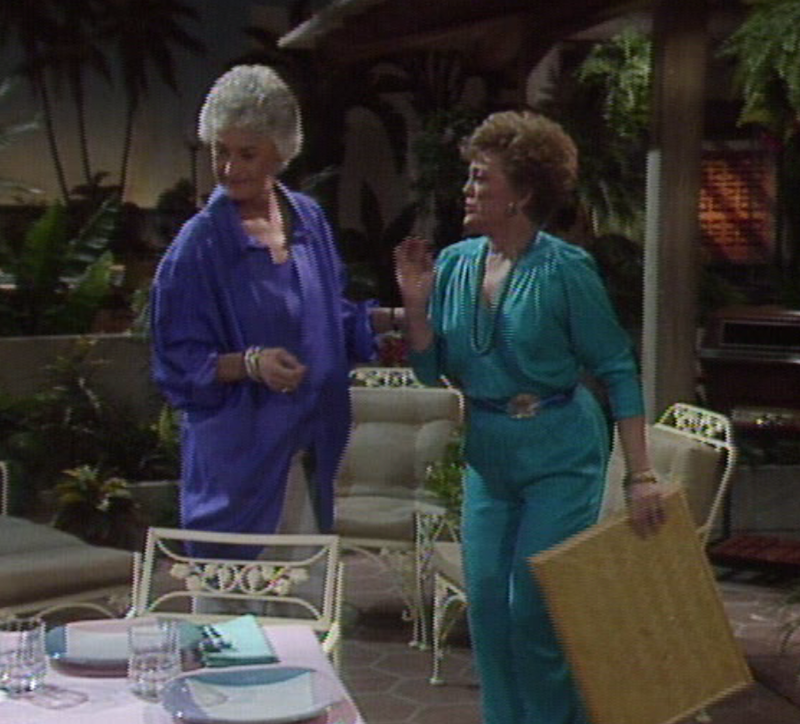 Fashion Award: I loved Blanche’s polyester blue onesie. I’m not being ironic. I really did. I don’t know what is up with Dorothy’s shirt and how it has a part cut out to see her crotch. Okay, confession time… I watch “the girls” every morning while I eat breakfast. 🙂 My 9-year-old daughter is now enjoying their inappropriateness this summer too–she’s about the age I was when the show was new. I think the same things appeal to her that did to me (Rose and Sophia are so funny!) and much of the adult humor goes over her head.